We have for our clients a range of leather coats that are offered in various splendid colors like chocolate brown, black, brown, red and many more. Designed to perfection, these long coats are made from premium quality leather. We offer these leather long coats for both men and women. We are the growing sourcing company based in Gurgaon (India) with a great presence of quality team across the main manufacturing sectors of India to have our presence all the time in the factories to ensure the quality assurance for each product, we source for our esteemed clients worldwide. We are a company with over 16 years of rich experiences working for all the top retailers, Wholesalers and Importers. 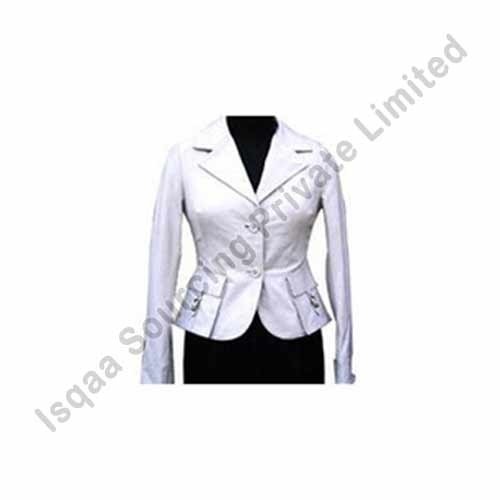 ISQAA Sourcing Private Limited believes in providing its clients with unique combination of Sourcing and Quality services that not only fulfill the expectations from clients but also ensure day to day compliance standards in the factories during inspections. All our Sourcing, Merchandise and QA team are personally trained by me for Ethical and Technical standards and which ensure that we only introduce/ work with the compliant factories for all our customers. We further carry a very strong ,professional and transparent relationship with all our factories who are always instrumental in our success and growth, Our Technical experts always visit factories to engage and help them to improve the efficiency and capabilities to reduce overheads and maintain on time delivery, which further helps them to be more competitive to our customers and pass them the benefits to be ahead with their competition in the market.